Unicorn Tail from FAIRYLAND collection. MyBookmark Ideal Gift For Everyone. Truly Handmade and Crafted With Love. Unicorn is a trendy present for girls of all ages. MyBookmark Unicorn tail inspires little ones to read and makes it fun for heavy readers. ""Always be yourself. Unless you can be a Unicorn"" is written on the metal part. Let's be honest. There's some magic in a process of reading. 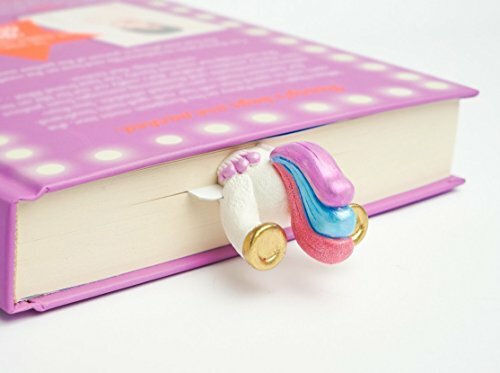 Everyone around should know that with a help of fairy Unicorn tail, sticking out from your book!" If you have any questions about this product by MyBookmark, contact us by completing and submitting the form below. If you are looking for a specif part number, please include it with your message.